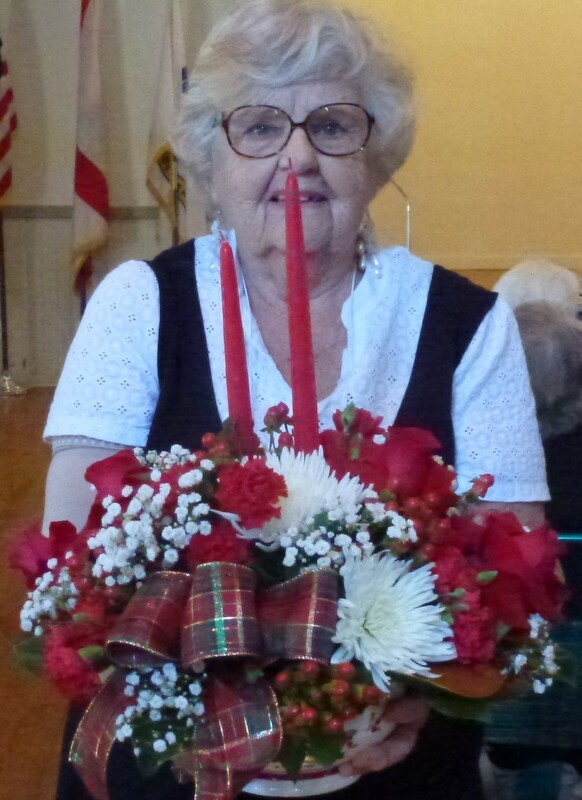 On Thursday, Jan. 7, 2016, Windermere Garden Club had its January general meeting at Windermere Town Hall. Due to the Arbor Day Treeing planting occurring on the usual meeting day of the second Thursday in Jan., the general meeting was moved to the FIRST Thursday this month. Our hostesses at the informal coffee before the meeting were Paula R., Joan P. and Cannon S. Great job ladies and thank you so much. Hostess Paula R. on the left with Hostess Joan P. at snack table’s centerpiece which is a floral arrangement created by Joan P. Not shown is Hostess Cannon S.
Treasurer Mary Ann B. on the left and Member Shirley M. enjoying some refreshments. We had two programs at this meeting. 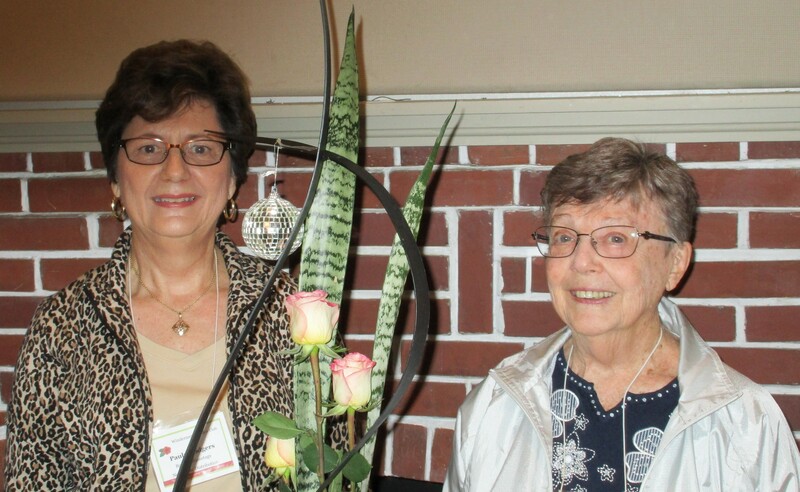 Garden Club member Theresa S.-M. presented a powerpoint presentation on growing amaryllis locally and she also spoke about caladium and amaryllis pioneer, Henry Nehrling. Next, both of our University of Florida scholarship students gave a powerpoint presentation on their ongoing research and studies. After the meeting, the scholarships students, Dr. Charlie G. and several of our members had an informal lunch at Westerly’s at MetroWest Golf Club. University of Florida (UF) scholarship student Ray on the left with Dr. Charlie G. in the center and on the right is UF scholarship student Allison. Our next general meeting will be on Thursday, Feb. 11th at Windermere Town Hall. An informal coffee will be at 9:30am. At 10am, the general meeting will begin with Lewis Brehm with Disney speaking on “Disney Horticultural Heritage”. 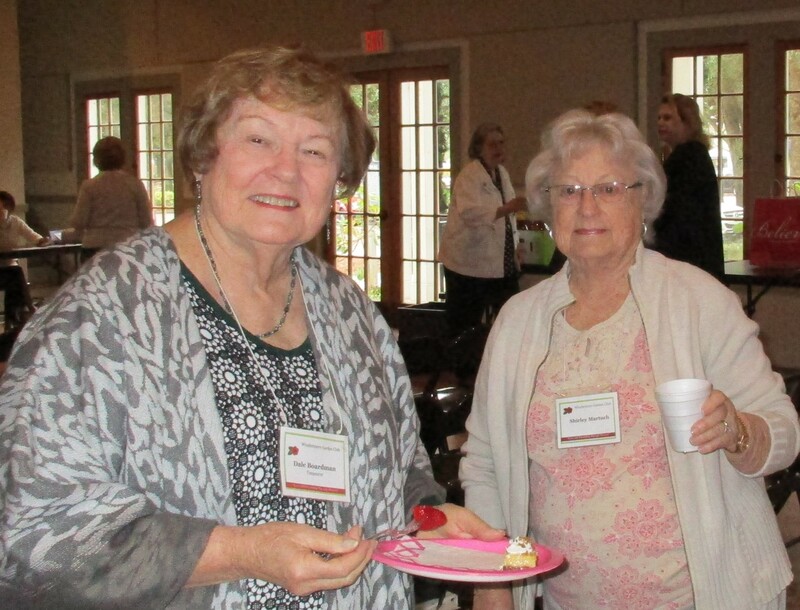 On Thursday, Nov. 12th, Windermere Garden Club had an informal coffee and general meeting at Windermere Town Hall. Tanya C. and Angela W. were our hostesses for the informal coffee right before the meeting. Great job and thank you. Snack table by Hostesses Tanya C. and Angela W.
Flowers by co-hostess Angela W.
Left to Right: 1st VP Mary B., Betty J’s Florist Owner Rilla Tomyn, and Mary Beth. 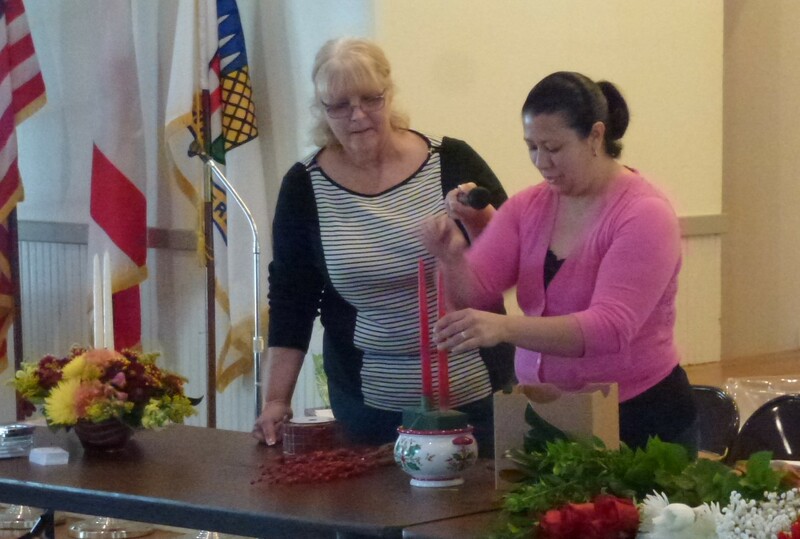 Mary Beth had many helpful hints including using a floral knife instead of scissors to cut the flowers. To cut, you need to move the flower stem and keep the knife still. Using a knife prevents the stem from crushing and allows water to flow more easily to the flower. 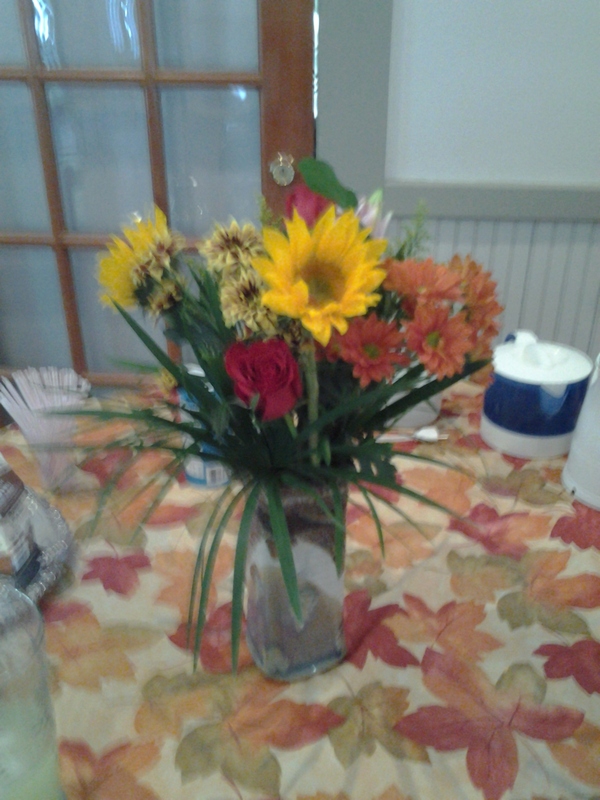 Mary Beth completed 3 arrangements. 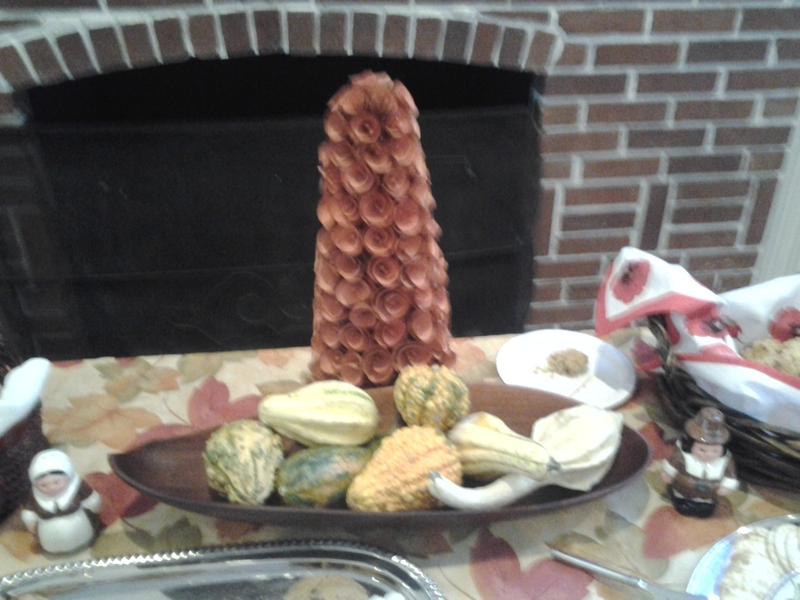 Two of the arrangements had an autumn theme and one had a Christmas theme. 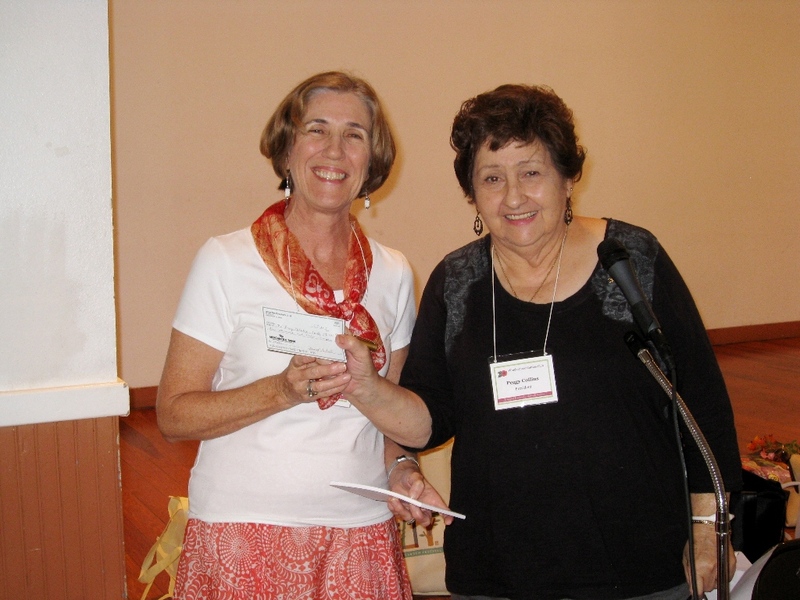 Two of the arrangements were raffled off and one was given to past president, Peggy C.
Our next general meeting will be the FIRST Thursday of the month which is Dec. 3rd at Windermere Town Hall. It will be a business meeting at 10:30am with a Christmas potluck to follow. There will be no speaker or program. If you would like to attend as a guest, please e-mail Tanya at tkchesire@yahoo.com by Tuesday, Dec. 1st. You do not need to bring an item to share. If you are a member, please contact Eleanor by Tuesday, Dec. 1st. and tell her what you are bringing to share. Also, we are collecting non perishable canned or boxed food items for West Orange Christian Service Center. 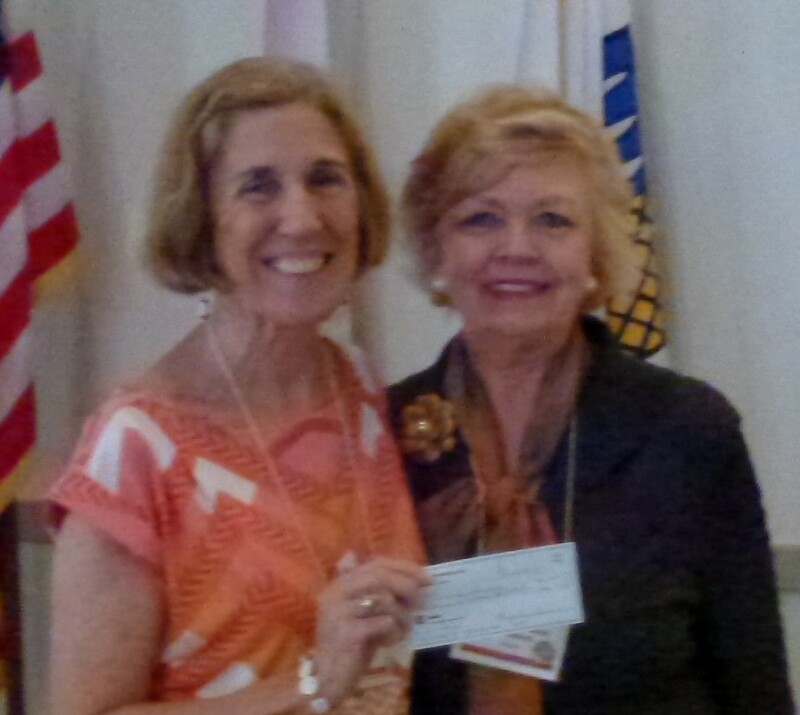 President Peggy Collins presents a check in the amount of $1,000 to Angela Withers, Development Director of the Henry Nehrling Society, to support the rehabilitation of historic Nehrling Gardens in Gotha. The club will receive a Bamboo level Honorary Deed to 20 square yards of Nehrling Gardens in recognition of the club’s generous support.